Unless you are a local diner, your answer should never be “everyone.” But what’s the question? “Who is your restaurant’s target customer?” Restaurant marketing is just like being an air-force fighter pilot (stay with me): If you can pick your target and stay your focus, it’s much easier to accomplish your mission. Successful businesses know that choosing the right audience and focusing their messaging to attract that target market is the path to success. Taco Bell is looking for customers 18-34, which is why you don’t see family marketing like you might like McDonald’s or IHOP. The rule applies whether you are a huge international chain or a single unit on the side of the road in the middle of no where. Once you know who your core customer is, you can start to focus your message to appeal to them. If that target market is millennials, then the following list is made just for you. Here are 5 of the key components for attracting millennial diners. Today’s generation of serious eaters are online. They belong to social networks. They take pictures of their food. They share those pictures on those social networks. Whether some chefs like it or not, it’s going to happen. It’s essentially free advertising for your restaurant so you better make sure that food arrives to the customer in an Instagram-ready fashion. Lobster Mac & Cheese, all day, everyday ? Come try our legendary dish and be forever changed ???? Look at this Lobster Mac N Cheese from Poco in New York City’s East Village as an example. You’re already dying to eat it. Remember that boring grilled cheese with 2 slices of American cheese on white bread we ate when we were kids? Or how about that plain stack of pancakes with the butter already soaked in? That’s food. You eat it, you survive. Millennial diners want adventure. They want excitement. If they wanted a bologna and cheese sandwich, they probably wouldn’t have left their kitchen. If they are going to part with hard-earned money, you had better give them something they can’t easily make at home. Show me loaded tater tots. Where’s that platter of charcuterie a mile long? How about a Burger stacked to the ceiling with awesome game meats like they have at Handcraft Kitchen & Cocktails? Millennials might not order that way every time they go out (how else do you explain so many salad chains?) but you should make sure your menu has at least one “wow” moment. 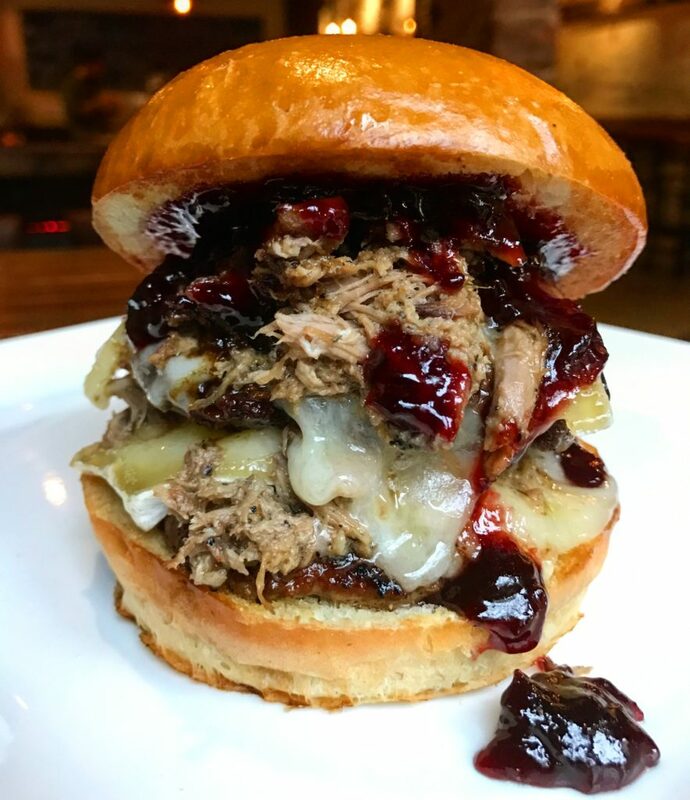 “The Game Changer” from Handcraft Kitchen & Cocktails: bison patty, wild boar patty, duck confit, brie & cherry chutney on a brioche bun. C’mon. We are past the age of frozen Burgers, rubbery chicken fingers and store-bought desserts. If we wanted cheap, reheatable and overly salted food, we would just hit the frozen section at the grocery store. Now more than ever, people want to know that you are not only making something they can’t do at home, but that it’s made as fresh as possible and with well-sourced ingredients. 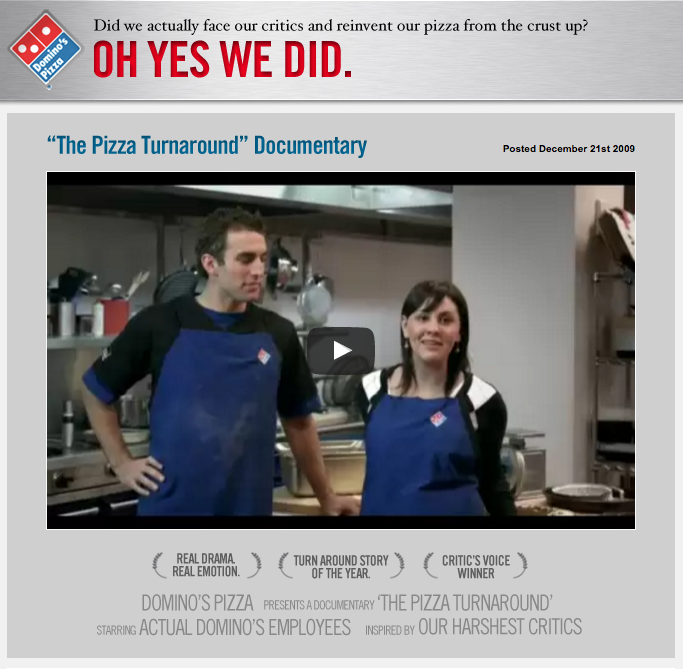 Even Domino’s Pizza got the hint. They were notorious for having pizza that tasted like cardboard, so they threw out their recipes and upgraded. Think about how many people, research and time it took to make that decision. For a smaller business with only one or even a couple units, it’s pretty quick and easy to make a similar switch. Have you heard about charity: water? They are “a non-profit organization bringing clean and safe drinking water to people in developing countries.” Wouldn’t you instantly feel better about yourself after buying a bottle of their water instead of one from a huge beverage corporation? Millennials have a broader social conscience and a more worldly point-of-view than previous generations. They think about how they affect the planet and how decisions made by others also affects others. You likely have a charity or cause that is important to you, your community or relates to core principles of your business. Call them up, drop them an email or send a tweet and ask how your restaurant can help. Have you been to a Five Guys or a Chipotle? There are only a couple of main options on the menu but your ability to add toppings and builds is pretty vast. That allows you to eat your food the way you want it, but also allows two friends who don’t like the same things to share a meal. You’re a vegan? Cool. Enjoy the tofu whatever, I’ll be having the carnitas. We’re so millennial. 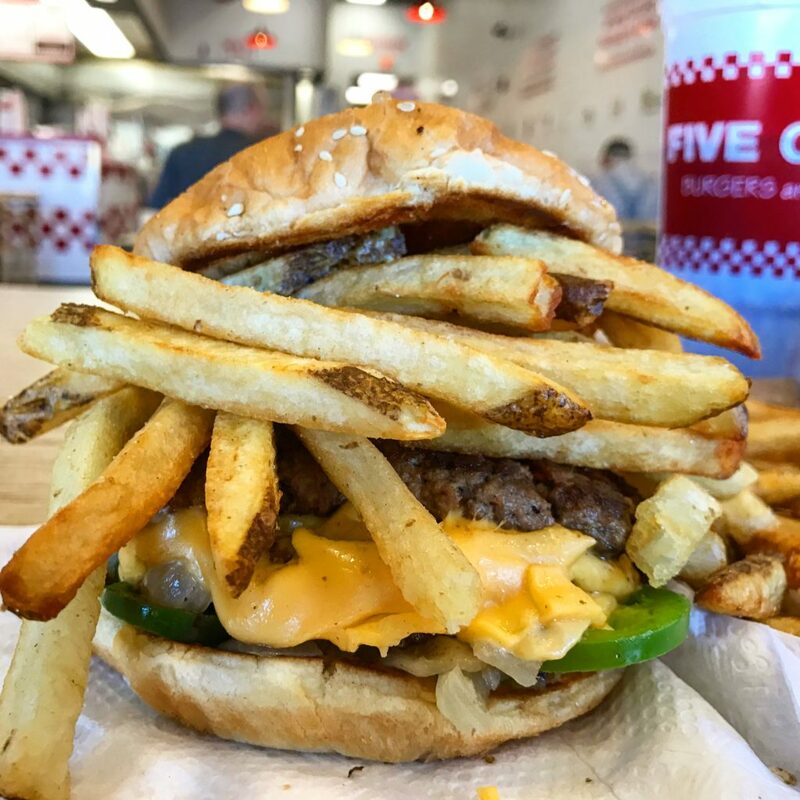 This entry was posted in Burgers, Target Market and tagged burger conquest, Diners, hospitality marketing, millennials, rev ciancio, target customer. Bookmark the permalink.